Tony Crazy Escape is another point & click, escape game by inkagames. 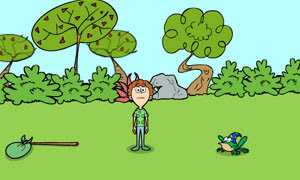 Tony Toon is sent accidentally to another world, and will have to defeat an evil wizard in order to come back. Good luck and have fun.